NEWPORT, Ky. — The world-famous Mermaids from Weeki Wachee Springs (Fla.) State Park will return to Greater Cincinnati this fall to enchant Newport Aquarium guests Sept. 25 through Oct. 12. Included with admission to Newport Aquarium, guests will be able to see real-life mermaids clad in colorful fishtailed costumes gracefully glide through the aquarium’s 60,000-gallon Coral Reef tank, which that features nearly 200 aquatic animals and more than 50 species of fish, including a newly added zebra shark, from 11 a.m. to 4:30 p.m. daily*. Newport Aquarium guests will also have the opportunity to personally meet a mermaid, as well as have their pictures taken in the aquarium’s Shark Ray Bay Theater from 10:30 a.m. to 12:30 p.m. and 1:30-3:30 p.m. daily*. An exclusive event added to the Weeki Wachee Mermaids’ visit to Newport Aquarium is the Mermaid & Pirate Family Ball, an after-hours family-friendly costume party on Sept. 25 that includes appetizers and refreshments, a treasure hunt, dancing and a special mermaid meet-and-greet. Newport Aquarium is giving away a four-pack of tickets to the Mermaid & Pirate Family Ball to one lucky fan who enters its Facebook sweepstakes, which runs Sept. 7-14. Also new for 2015, Newport Aquarium is offering a combo ticket with BB Riverboats, allowing the public to enjoy a full day of mermaids and pirates for one low price. The Meet the Mermaids, Cruise with the Pirates ticket is for Oct. 9 and includes admission to Newport Aquarium and the Pirates of the Ohio Cruise on the Belle of Cincinnati fleet, as well as a picnic-style buffet lunch in the Aquarium’s award-winning Riverside Room. 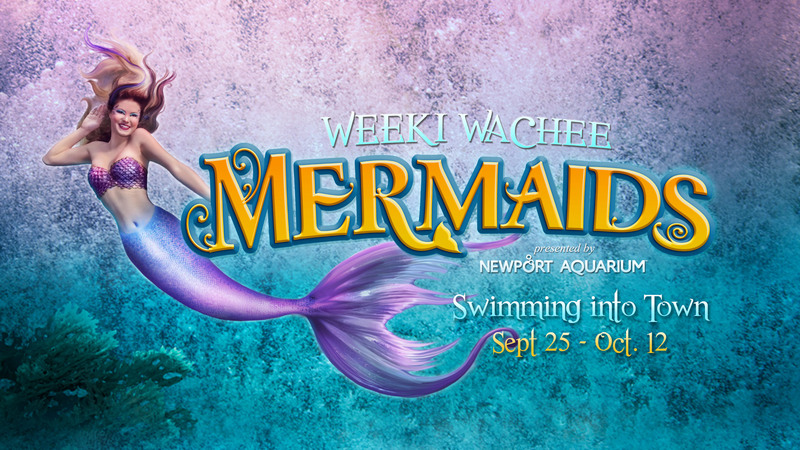 Additional mermaid encounters at Newport Aquarium during the Weeki Wachee Mermaids’ 18-day engagement include Breakfast with a Mermaid on Oct. 4 and Oct. 11. Tickets are limited for Mermaid & Pirate Family Ball, the Meet the Mermaids, Cruise with the Pirates combo, and Breakfast with a Mermaid are available for purchase at NewportAquarium.com. 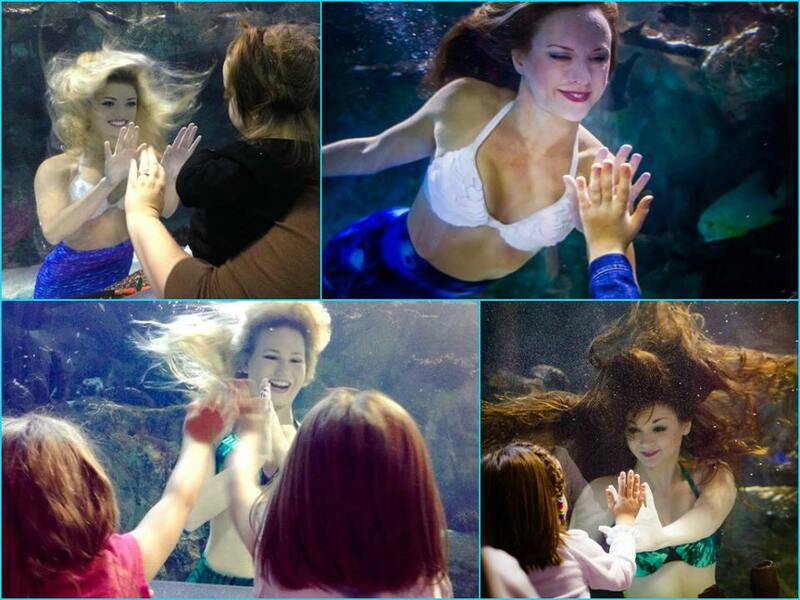 The return of the Weeki Wachee Mermaids comes on the heels of their popular 10-day visit to Newport Aquarium in October 2014, which was the 67-year-old institution’s first visit to the Midwest. The mermaids are travelling from Weeki Wachee Springs State Park, a freshwater spring north of Tampa, Fla., home of underwater mermaid appearances and performances since 1947. *Mermaid dive and meet-and-greet times are subject to change. Check website for schedule. This entry was posted in Mermaids and tagged Cincinnati, Florida, Kentucky, mermaids, newport aquarium, Weeki Wachee Mermaids, Weeki Wachee Springs State Park by NewportAquarium. Bookmark the permalink.